We are now well and truly into winter which makes me crave comfort food. There’s nothing like a warming dinner at the end of a frosty day. 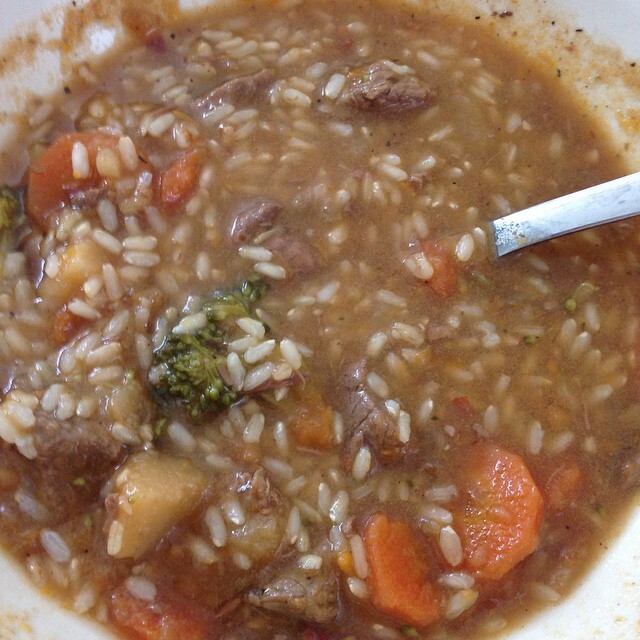 This recipe is my mum’s beef stew, (she is known as Oma to my kids). There are too many variations to include but this is probably my favourite, and the most palatable to my children. You can cook this in an hour or two on the stovetop but the best way is to chuck it all in a slow cooker in the morning. Go about your business and bask in the delish smells as they take over your house. Rest in the knowledge that all you have to do in the evening is throw some rice in the rice cooker, throw some pasta into the slow cooker half an hour before you want to eat, or if you’re really feeling energetic, you could whip up some mashed potato.